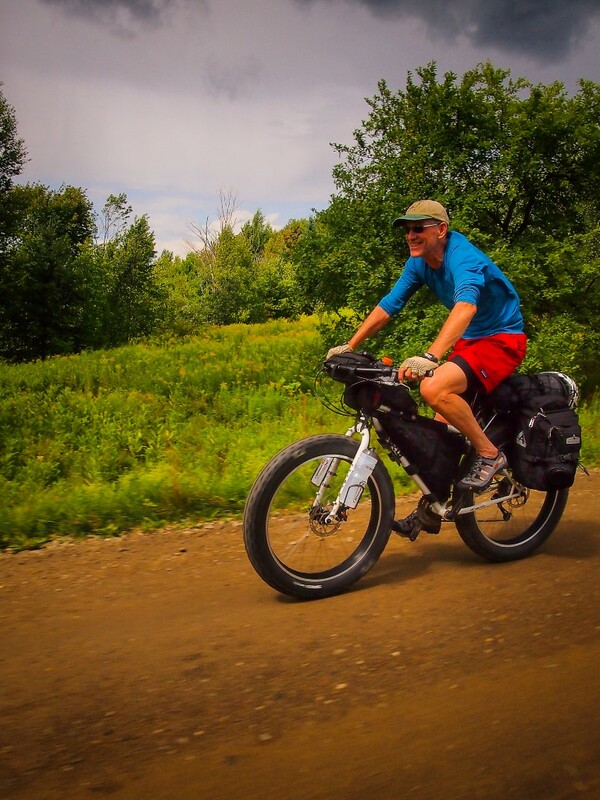 I was back from Alaska for only a couple of days when Jeff, who I rode the Great Divide Mountain Bike Route with last year, mentioned he wanted to ride the XVT and he wanted to leave that weekend. Perfect, enough time to unpack, repair, and repack my gear, with a little time to research the route. 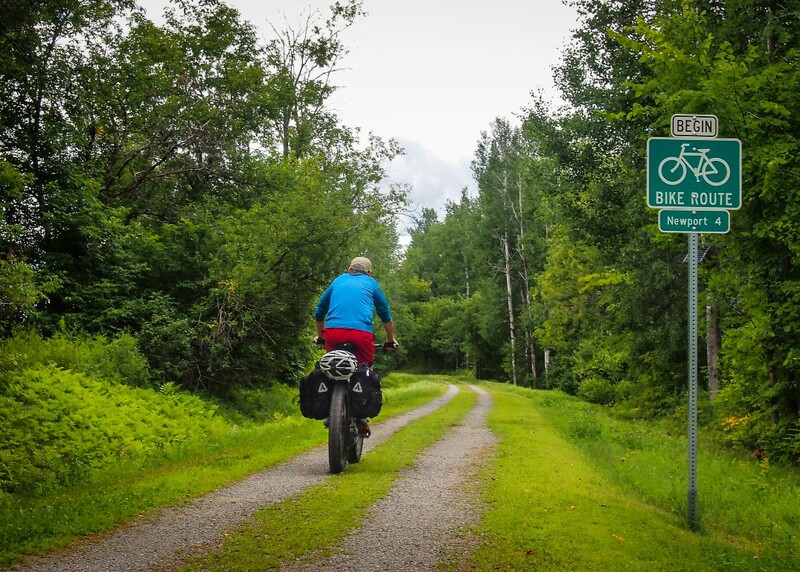 The XVT, or XVtBkPkRte as it’s also referred to, is a 300 mile long bikepacking route that runs the length of Vermont, from Whitingham on the Massachusetts border to Derby on the Canada border. 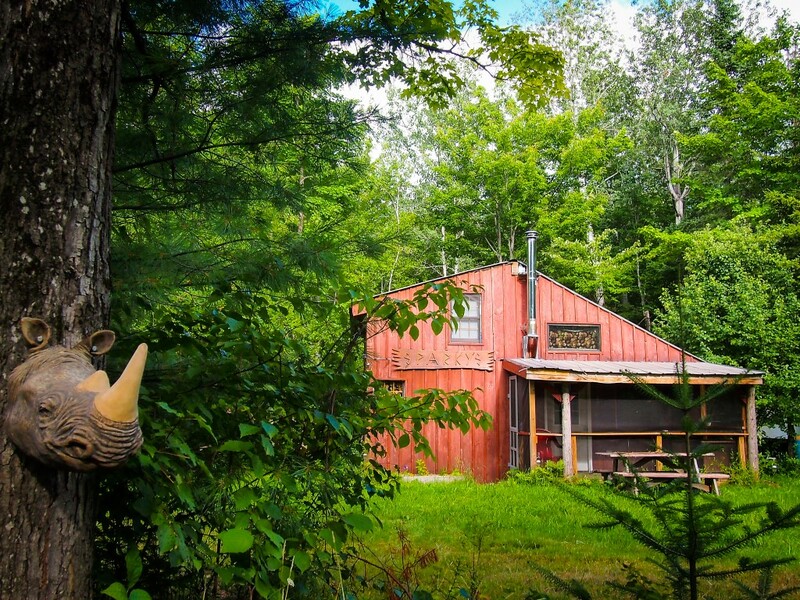 It’s the brainchild of Vermonters Dave Tremblay and Dave Blumenthal. 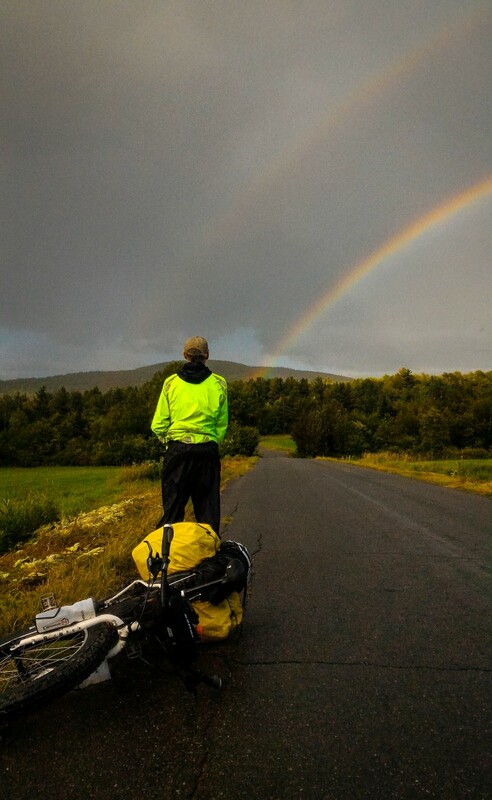 Tragically, Dave Blumenthal was killed in a collision with a pickup truck while competing in the 2010 Tour Divide. 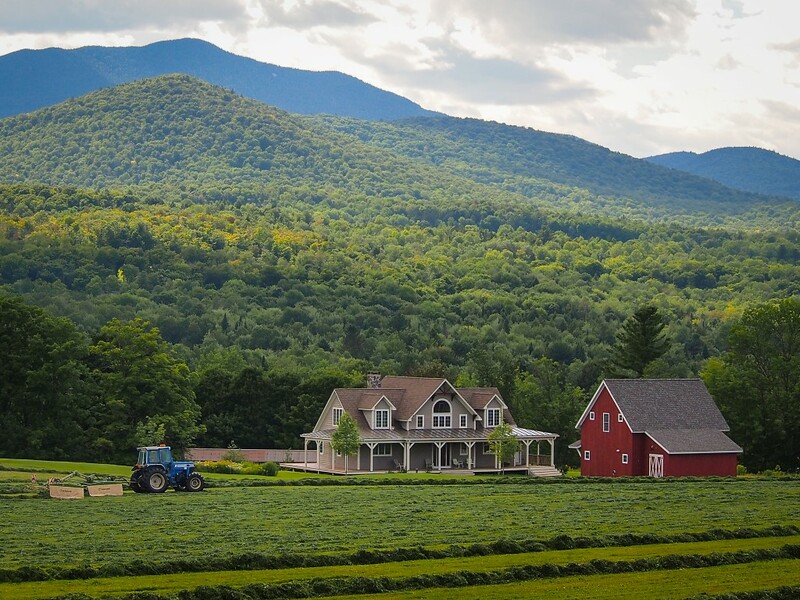 While Vermont doesn’t have the big mountains and wide open spaces of the west, it has plenty of rolling hills, lots of forest (about 75% of the state) and not a whole lot of people. 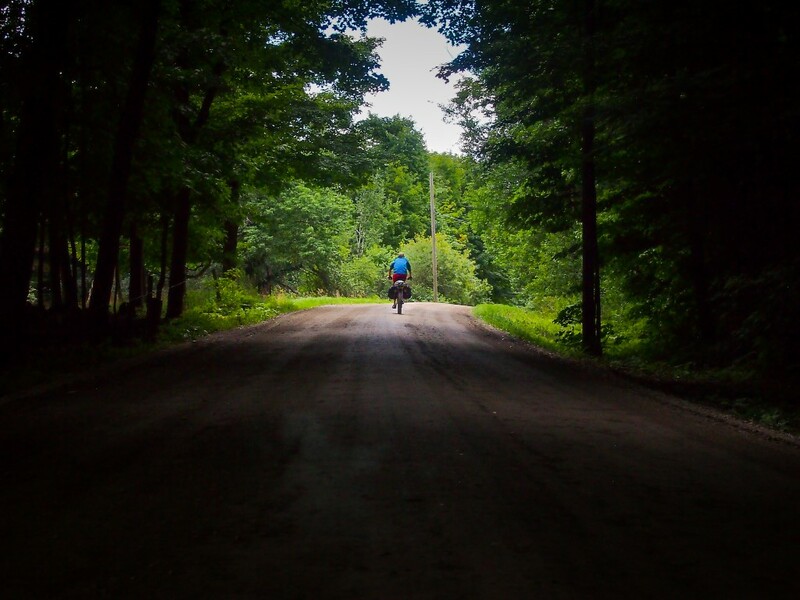 And with over 8,000 miles of dirt roads, it has more miles of dirt than pavement. There’s also trails- all different kinds and lots of them. 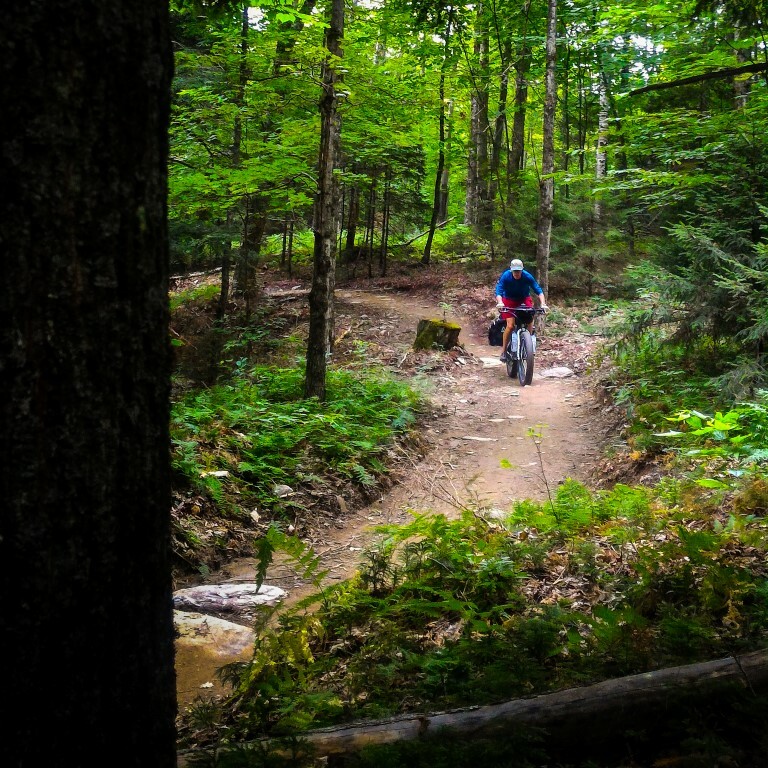 Everyone has their favorite dirt adventure ride and the XVT links up some of the best in the state. 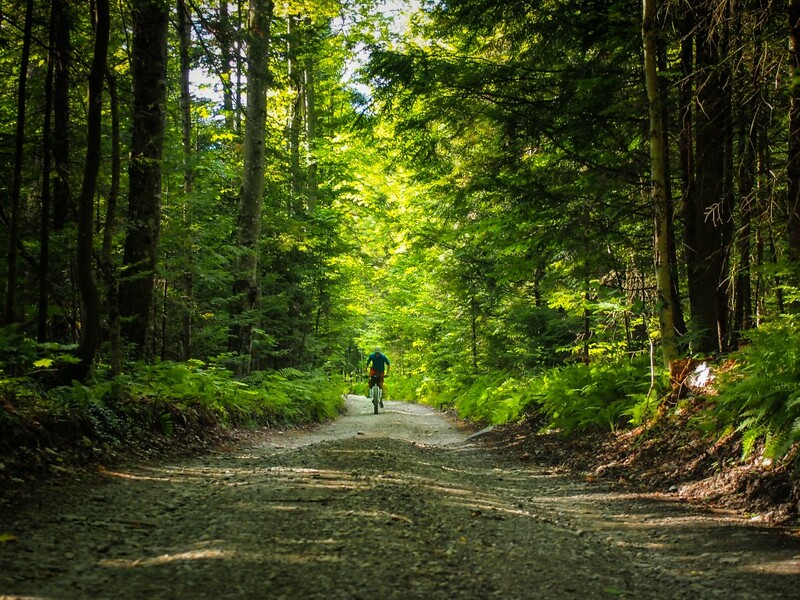 But keep those rolling hills in mind, Vermont doesn’t have the 20 mile climbs of the west, but you’ll hit endless short, steep walls that will have you pushing on the shifter praying for one more gear. All total, about 33,000 feet of them along the route, which encompasses some of the best mountain biking in the state, from old school (or skool?) roots, rocks, and mud singletrack, ribbons of smooth, banked pine duff, forest roads, class 4 roads, rural dirt roads, and bike paths; pretty much anything to avoid pavement. The current record for the XVT is just under 38 hours, set last year by Calvin Decker; Jeff and I planned to take about a week. We also decided to ride fat bikes, a decision I don’t regret, and to ride the route from north to south, opposite how most people have ridden it, but that seems to be a trend for us. First – bike choice: Jeff and I both rode rigid Surly Pugsleys with 4″ tires and while they’re a little slower on the smooth stuff, they make up for it in the rough sections. For those who forgo suspension, B+ or 29+ may be the perfect compromise. Second – gear: Less is better- much better. This is not a dirt road ride, along with rocks, roots, and steep climbs, there’s some pushing. You can see what I carried over HERE. Jeff ran rear panniers and even with extra straps to keep things from bouncing, ended up breaking his Surly Nice Rack. Third – Please respect the other road and trail users. 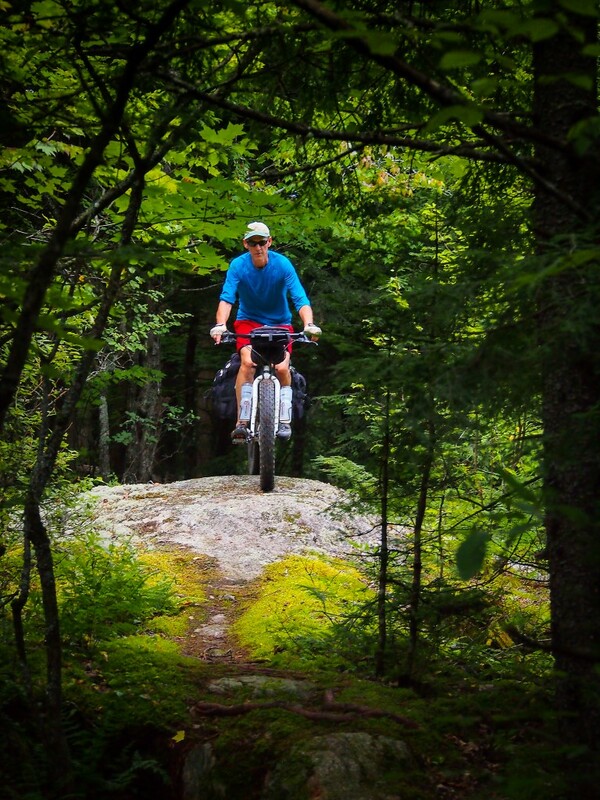 Many sections of this route cross private land and use the VASA, VAST and Catamount Trail systems. 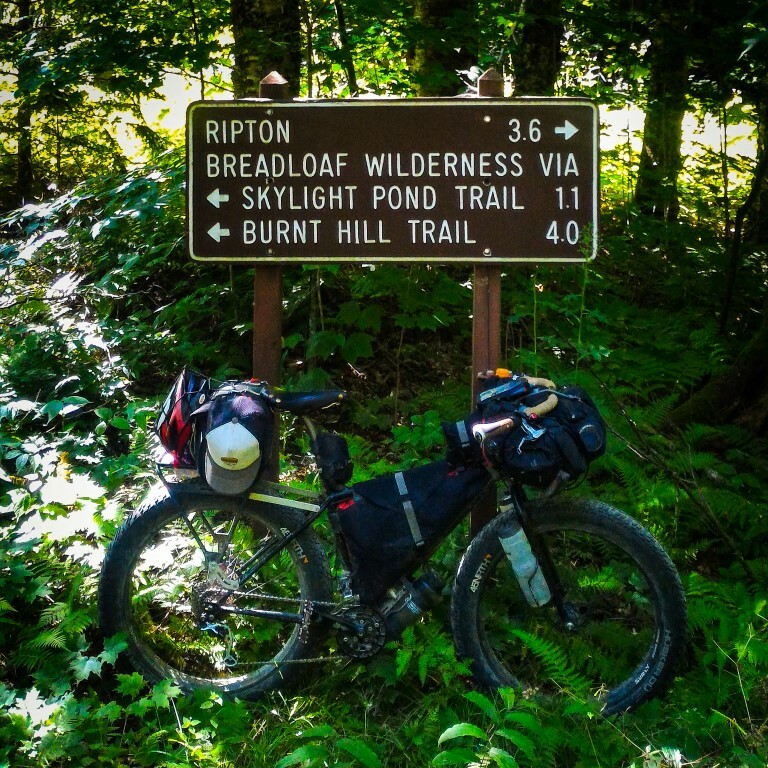 While sections of the route seem really remote, you’re rarely more than a few miles away from some sort of civilization if something goes wrong. 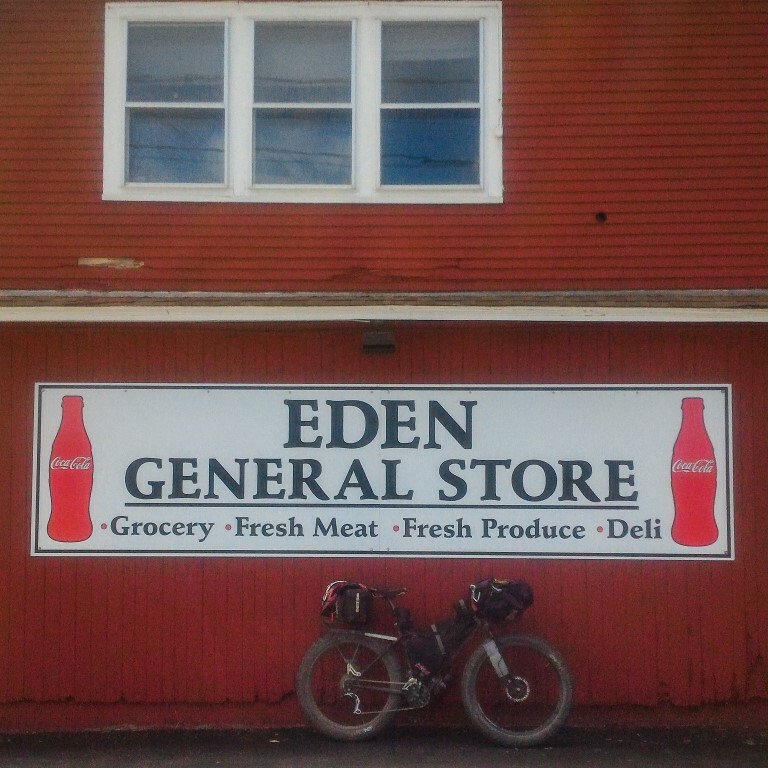 If you detour to the Eden General Store, Cemetery Road next to the store is a fun class 4 road that intersects with the XVT. Trust your GPS – There are a few sections we wouldn’t have found, or wouldn’t have known we could legally pass through, if it wasn’t for the line on the screen. The bridge over the Lamoille River at Cadys Falls was closed for repairs, so Bridge Street in downtown Morrisville, to Cadys Falls Road is the alternative route to Duhamel Road we used. 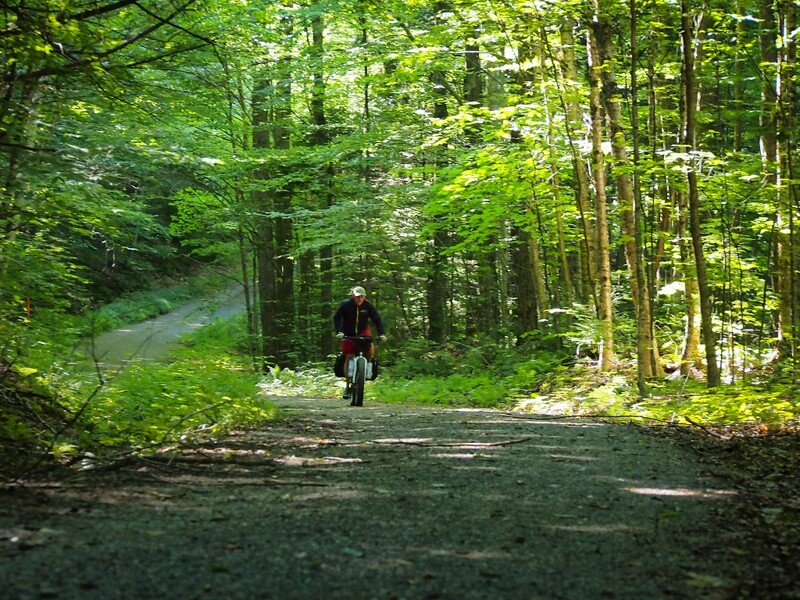 Depending on the time of day and season, northbound riders may have to pay to enter Little River State Park in Waterbury. 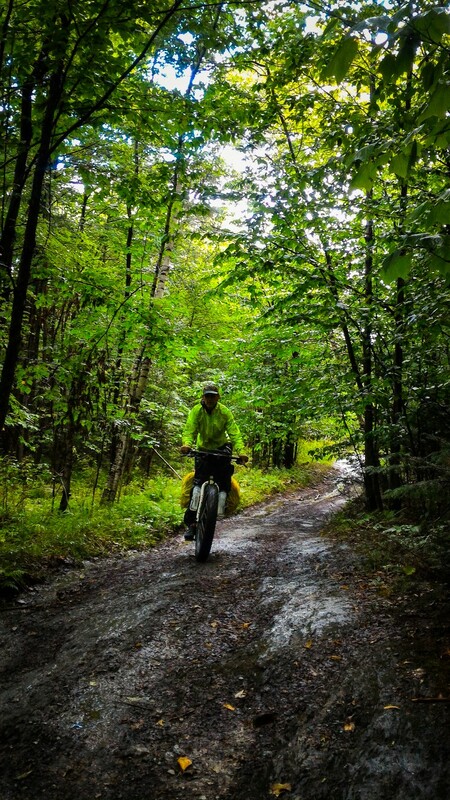 Many people confuse the XVT Bikepack Route with the Cross Vermont Trail, they are not the same. Cotton Brook Road runs through the historic settlement of Little River and Little River State Park. Depending on the time of day and season, northbound riders may have to pay to enter the park. 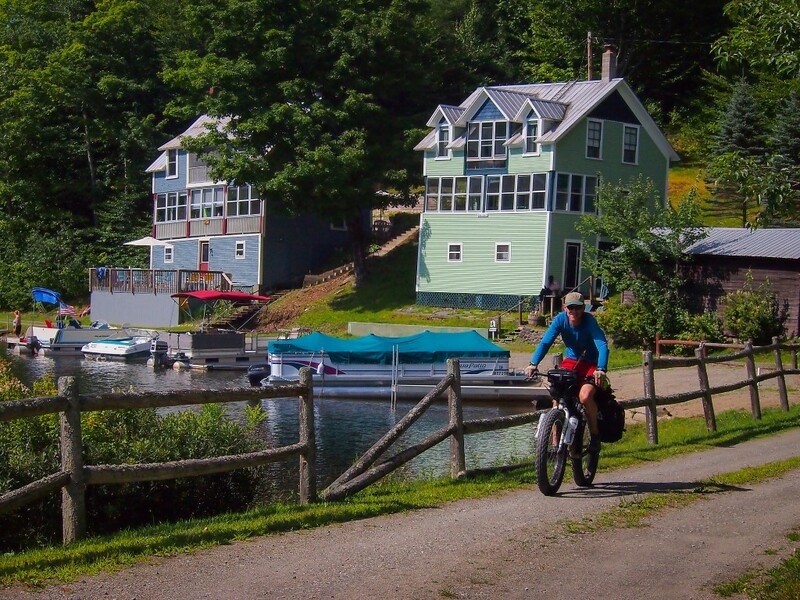 The XVT goes right past Jeff’s house in Ripton and that’s where we decided to end this part of the ride. I have to give a huge thank you to Dave Tremblay and everyone involved in creating this route for all their years of hard work, it’s so much better than I could have ever imagined. 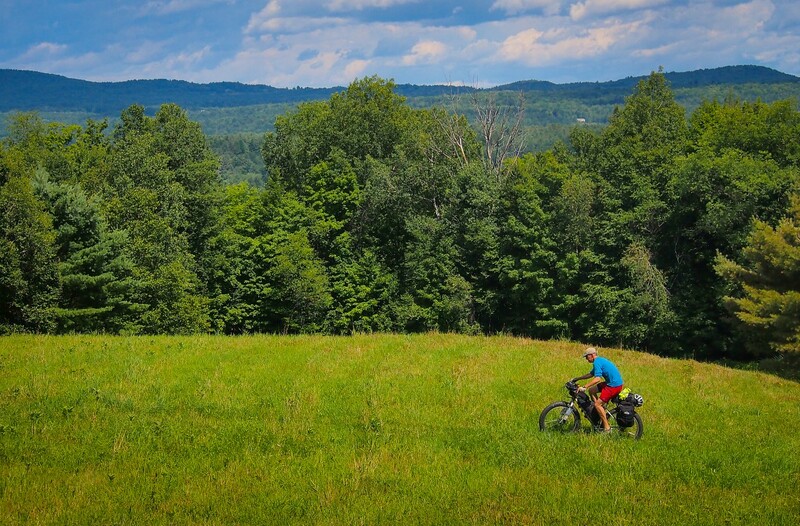 To find out more about the XVT, check out the XVtBkPkRte Facebook group, or the Vermont Mountain Bike Association. Thanks for stopping by; riding the XVT: Part 2 Can Be Found Here. Evergreen(titanium, with carbon front fork) I will have yo change the crank to get better gearing. I can fit up to a 42mm tire on the bike, no suspension. Do you think based on your experience with the roads that this is doable? Thanks Mike! While the XVT may be doable on your Seven, it may not be much fun, especially compared to a plus bike or fat bike. 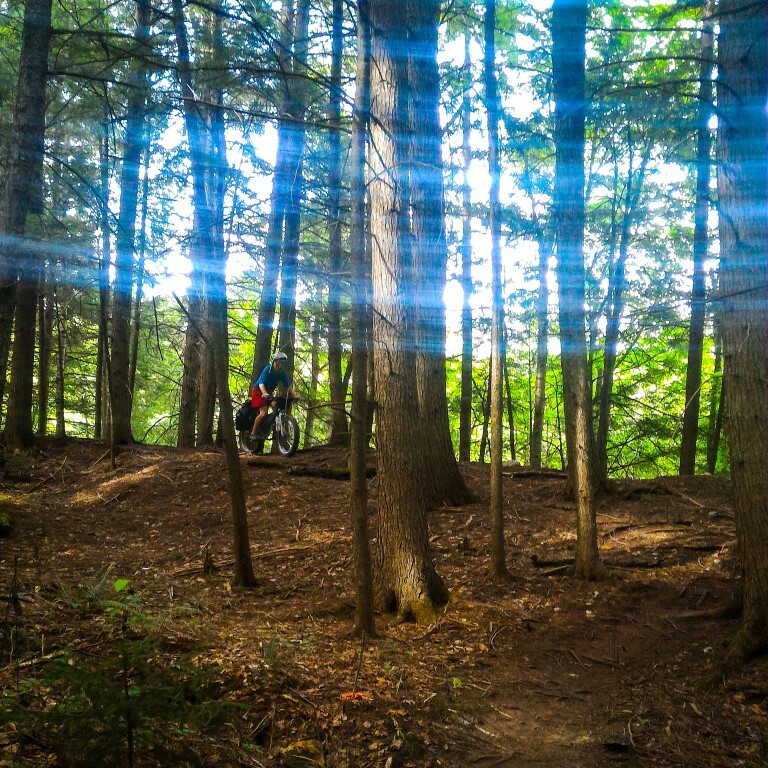 There are quite a few sections of technical mountain biking. Thanks Rick! Boundary Waters vs the XVT is a pretty tough choice. Making up time on the route isn’t a problem, there are lots of dirt and paved alternatives. 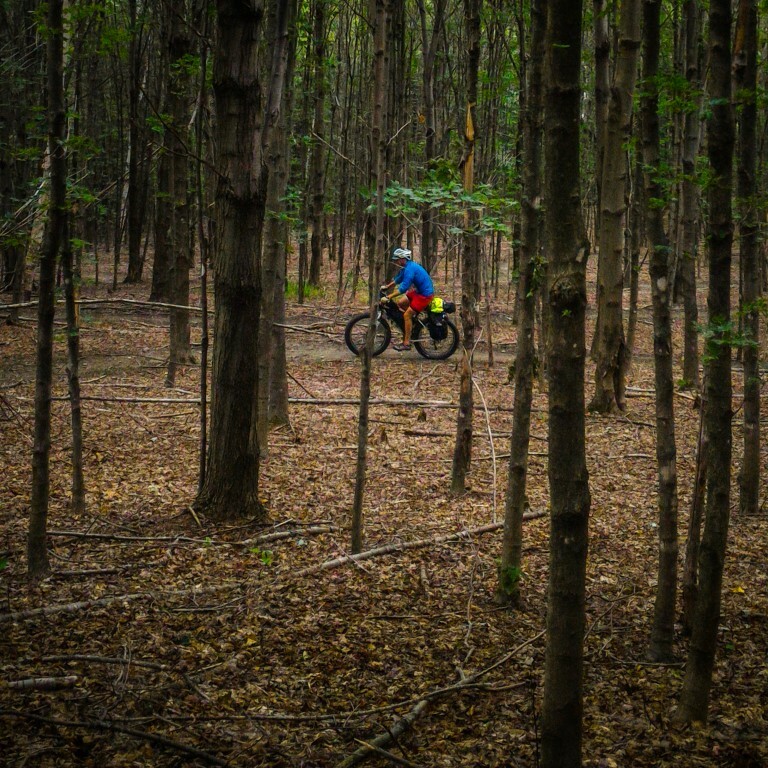 What sections you skip, if any, depends on what type of riding you like the best and what you want to avoid. Enjoy the riding! We need to make the Eden Store detour official! Were you able to make it through Cemetery road to Blakeville/Cooper? Great write up and pictures! Thanks Dave. 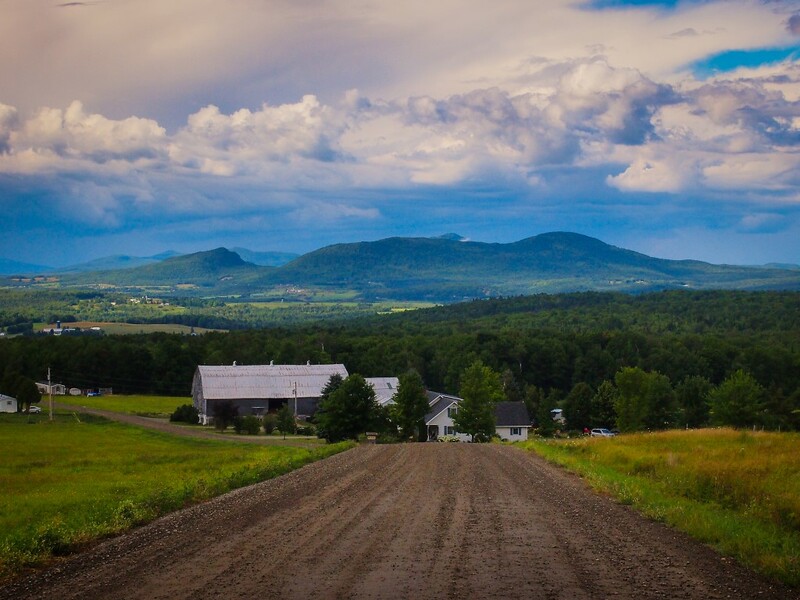 This route really opened my eyes as to how rural Vermont still is. Cemetery Road is rideable all the way through to Blakeville Road, with a fun little chute just before the junction. Great read! And timely (for me). 1. In reading your gear list and the post I saw no mention of cooking supplies/refueling. What’s the food/refuel situation like on the route? Anywhere in particular you’d recommend stopping? 2. In searching for the GPS files, the only ones I seem to be able to find are dated (2014). Which gpx/gps file were you using? On the first part of the trip I carried my stove and cook kit, but rarely used them and didn’t bring them on the second part. The biggest issue was coffee and I tried 5-Hour Energy as a substitute, which I don’t recommend. It tasted like cough syrup. As for resupply stops, north of Ripton has quite a few choices everyday, but the stretch south has only a few overall. If I remember correctly they were Bondville, Belmont, Bridgewater, and there may have been one more. Having a means to purify water is important, especially for the southern part. As for the GPS file, the copy on internet is pretty close, but the route has evolved a bit. Dave Tremblay, the route creator, asks for people to contact him to get the current track. He can be reached through the XVtBkPkRte Facebook page, or I can send you his contact info. Very Helpful, Thanks. I’ll reach out to Dave. As for coffee… you are a way braver man than I. Thanks Scott, your posts and Dean’s posts are ones I’m always excited to see in my inbox. When you do come back east, we’ll ride this one together. 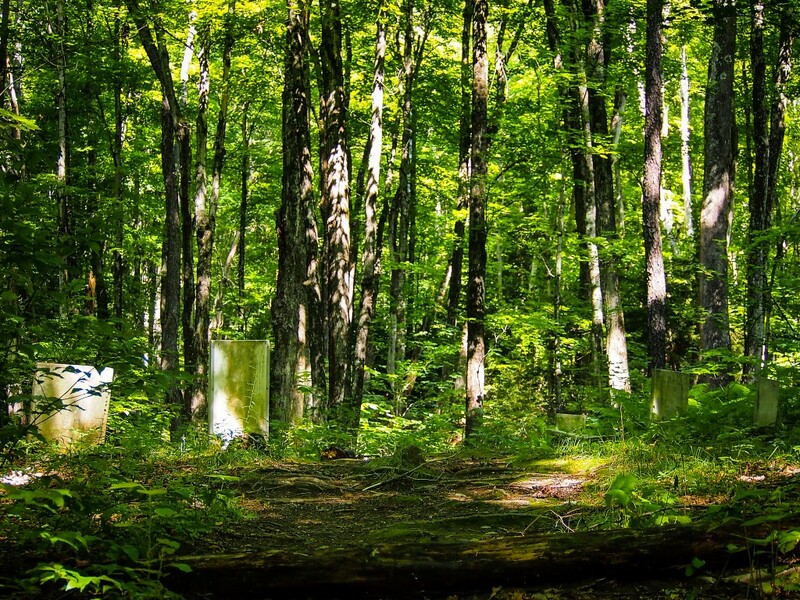 Do you know about the TMT (Trans Mass Trail)? It’s a north to south dirt route through Mass I just read about. 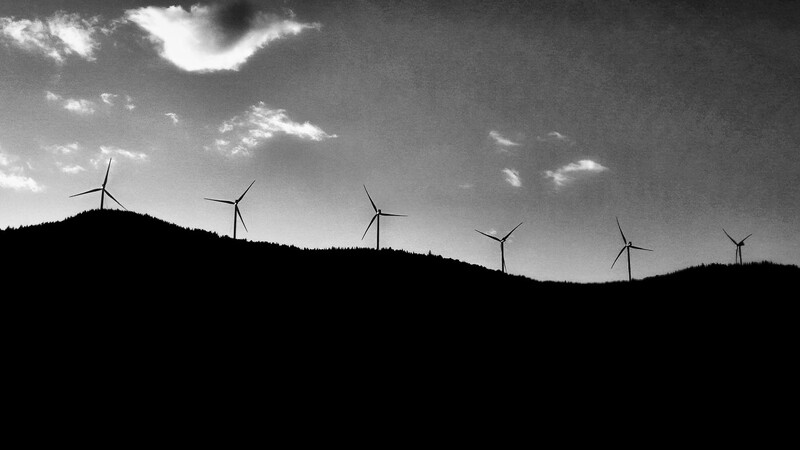 Thanks for this — love your photos! I’m curious, if you were going to give estimates, what percentage of the section you rode is rough (rocks, roots, Surly Nice Rack-breaking), and what percentage is relatively smooth? Thanks MM. The roughest parts of the route are the singletrack sections and some of the class 4 roads, maybe 20%, but that’s a subjective guess. 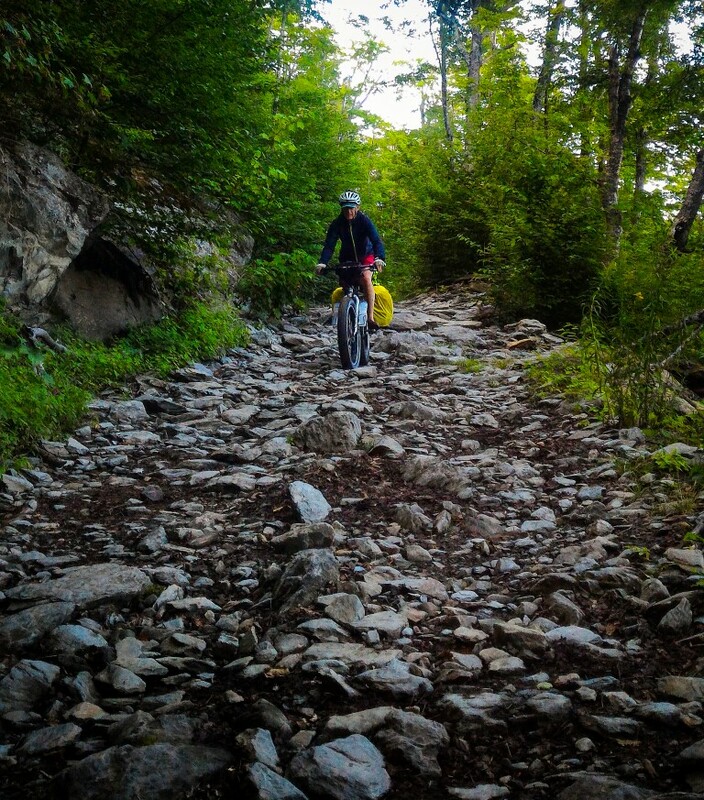 Much of the singletrack is rooty and rocky, so it’s can be a rough ride no mater your speed. In the southern part of the route, some of the Class 4 roads and forest roads you can carry a lot of speed and sometimes things sneak up on you. A high speed water bar ejection could have really bad consequences. Sold! See you this fall, XVT! If you want some company, let me know. I’d love to ride part of it again. Thoroughly enjoying my vicarious ride along on this trip. Thanks for keeping all of us informed and entertained.